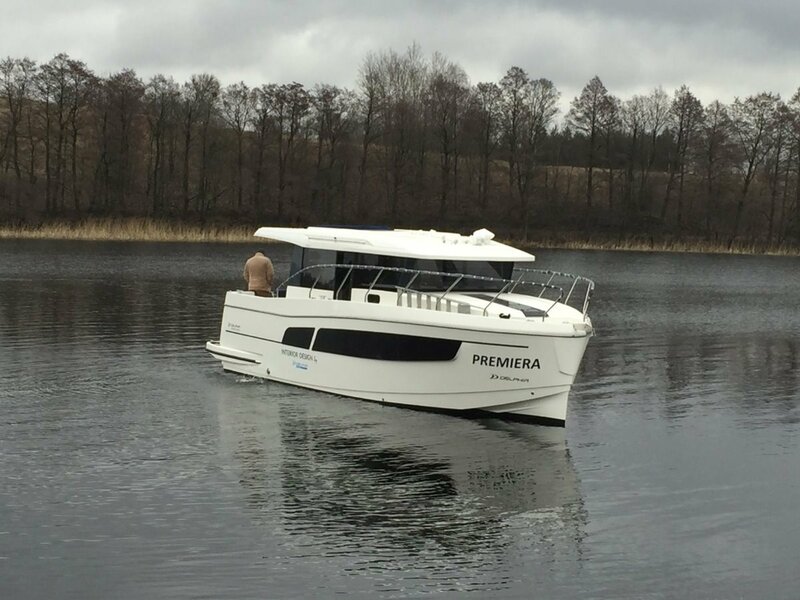 Modern and contemporary with a brilliant hull design providing performance, stability and good fuel economy with an easily driven hull form. Galley and dining "up" in wheelhouse allowing panoramic scenic views whilst relaxing at anchor or travelling, separating the day time living spaces from night time sleeping cabins. Modern and contemporary in design and clever features making an amazing use of space. An agile and comfortable hull form provides good performance, easy manouverabilty, and various engine options can give excellent economy in operating costs at displacement speeds, but larger horsepower engines are available if speeds up to 25 knots are considered desirable. Australian specced boats come standard with an 85HP Nanni diesel but higher horsepower options are a single 370HP engine or two x 225 HP engines providing a maximum of 450 HP. Bowthrusters are standard along with many features providing ease of use and comfort. 300 litres standard, but boat is specced with 700 litre option. Double stainless sink with cover, hot and cold pressure water. 2 burner cooktop, with lpg detector and safety cut off solenoid, Corian benchtops, good working counter space and good storage in lockers and drawers plus waste basket. Striped flloring below, similiar to holly and teak., roller blinds on overhead hatches. Fusion 205 am/fm/ cd/usb/ with 2 speakers in cockit and 2 in saloon. Simrad RS12 VHF transmitter, Simrad WSS7 EVO chartplotter/depth sounder, Simrad autopilot. Compass.